Learn how to move photos from Photoshop Elements to the Creative Cloud Photography plan to access powerful organization and editing features with Lightroom and Photoshop. When you're ready to move up from Photoshop Elements, Lightroom and Photoshop together will help you take your photography to a new level. You can import your Photoshop Elements catalog into Lightroom with just a few clicks. 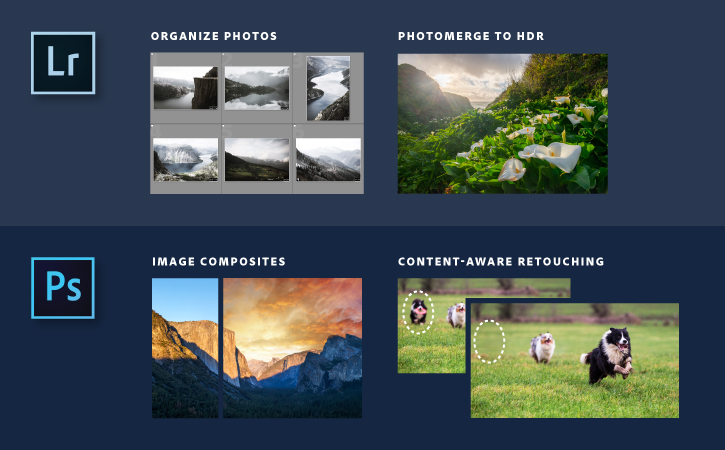 Organize and correct your photos in Lightroom's user-friendly environment, turning to Photoshop for more creative edits, like combining multiple images or moving objects. 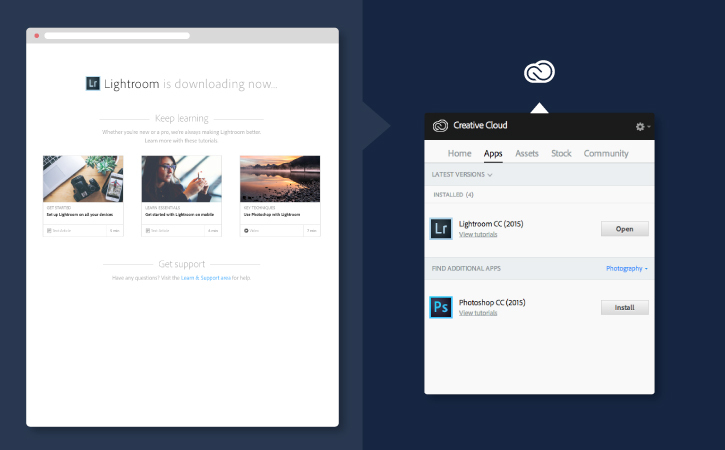 Lightroom and Photoshop, which are both included in the Creative Cloud Photography plan, are all you need to edit, organize, and access your photos anywhere you go. 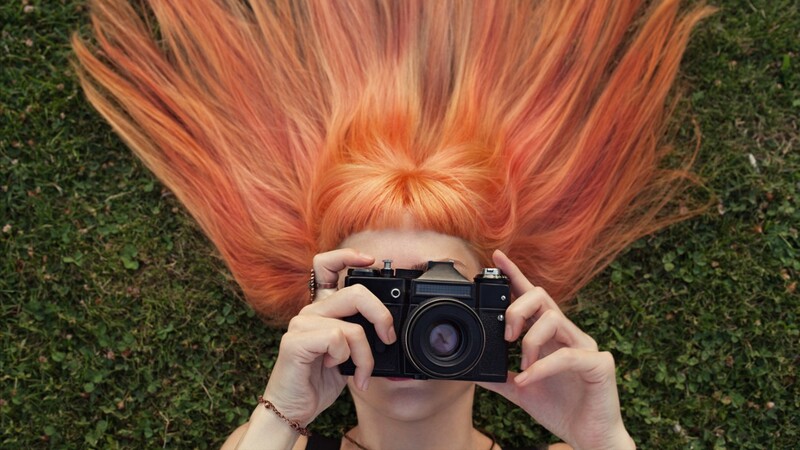 Sign in with your existing Adobe ID (or sign up if you don't have one) to start your Creative Cloud Photography plan free trial or paid membership. Then, install Lightroom on your computer. 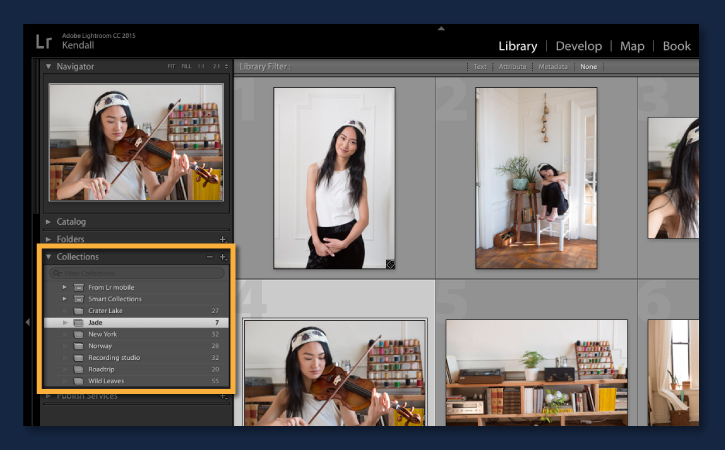 If you use Photoshop Elements and you're ready to switch to Lightroom, you can import your Photoshop Elements catalog directly into your Lightroom catalog. 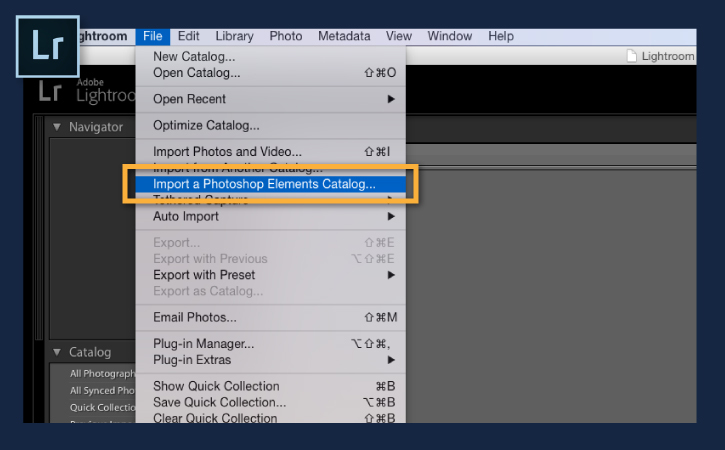 In Lightroom, choose File > Import a Photoshop Elements Catalog. Choose the Elements catalog you want to add and click Import. Note: Importing your Photoshop Elements catalog into Lightroom does not harm the Photoshop Elements catalog. If you open Photoshop Elements, the catalog and your photos will still be there. The photos imported from your Photoshop Elements catalog retain the edits you made to them in Photoshop Elements, along with star ratings, keyword tags, and other information you added in Photoshop Elements. 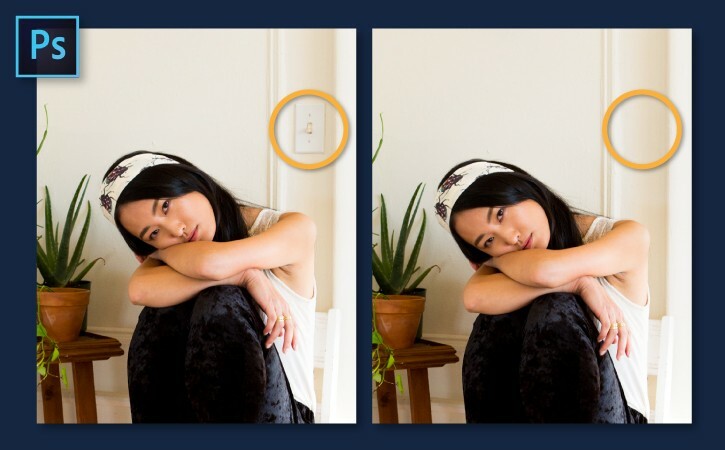 Albums you made in Photoshop Elements appear as collections in Lightroom. In Lightroom's Library module, you can continue to organize your photos by applying flags, color labels, ratings, keywords, and collections. Note: See the link to other Lightroom tutorials at the bottom of this page for more on organizing your photos in Lightroom. 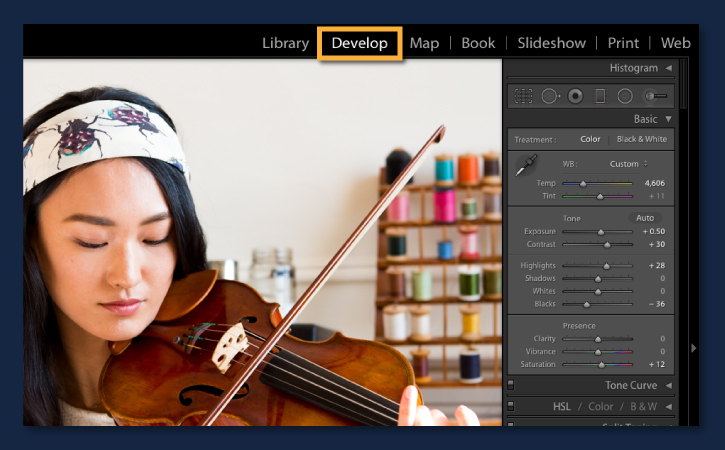 Once your photos are organized in Lightroom, you can work in the Develop module to experiment with edits to color, fix undesired effects caused by the camera lens, capture high contrast scenes with HDR merge, straighten images with one click, and lots more, all without damaging the original photo. Open photos that require advanced editing in Photoshop directly from Lightroom. Select a photo in Lightroom. Then go to Photo > Edit in > Open in Adobe Photoshop CC 2015. In Photoshop, you can remove objects, add creative blur, change perspective, and more. When you save the edited photo from Photoshop, it appears with your changes in Lightroom. Note: Make sure Photoshop is installed on your computer. See the link to Photoshop tutorials at the bottom of this page to learn more about editing in Photoshop. Take pictures from your iPhone, iPad, or Android device. Your photos will sync automatically with Lightroom on your desktop so they are available for viewing and sharing from anywhere. CreativeSync ensures the edits you make in Lightroom on the desktop are also synced to Lightroom on your mobile device and vice versa. The sync process preserves collection organization and any ratings applied to it. Note: Set up Lightroom for sync if it is not enabled by default.